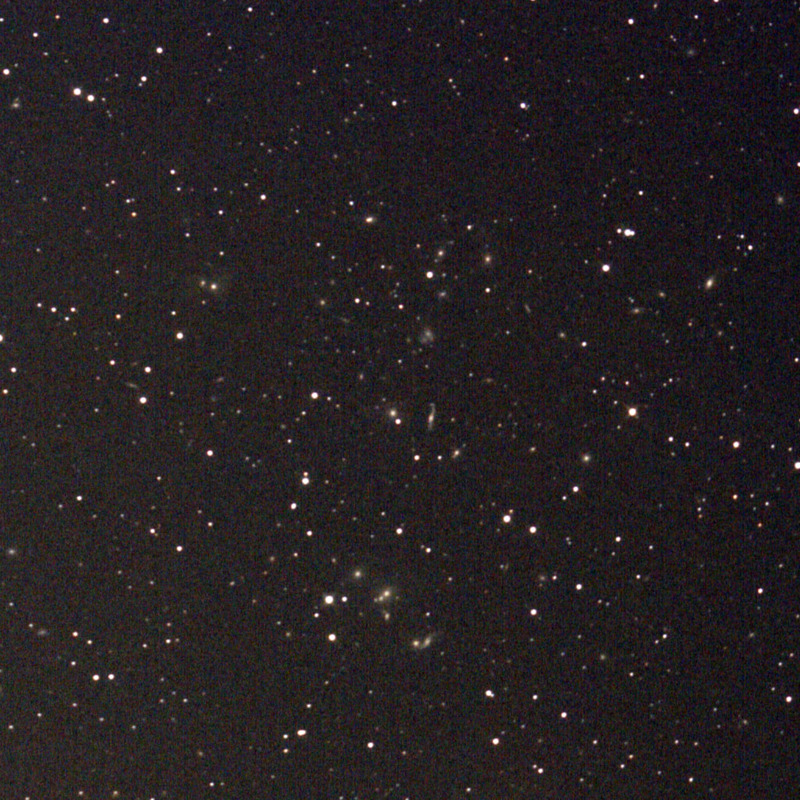 5 x 5 minute exposures at 800 ISO on July 11, 2008. The sky was not completely dark due to the continuous twilight during this time of year. Still, lots of faint galaxies are visibIe. I will have to do it again when the sky is really dark! This image was made with a 20cm (8") f/2.75 ASA Astrograph and a modified Canon 40D DSLR.